Retract the wedge slightly after initial placement to further engage it. Use it when doing a fiber splint, especially along the lower anteriors. When removing the wedge, do so slowly to make sure the fins do not cause tissue trauma. Take care when using ComposiTight gold/silver rings as they can bend the wedges. If you do bend a wedge while trying to place it, don’t try to straighten it – get a new one. Use the larger sizes if you want some compression. Compress the wedge more than once in molar areas to help it stay in position. 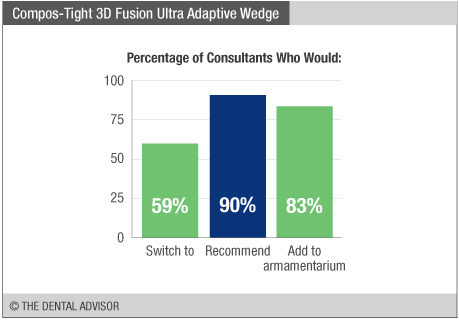 Composi-Tight 3D Fusion Ultra Adaptive Wedges were evaluated by 29 consultants, with an average of 26 uses per consultant. Glides easily into the interproximal area. Excellent adaptability to matrix bands and to teeth, including to non-uniform interproximal surfaces. Little to no soft tissue trauma. 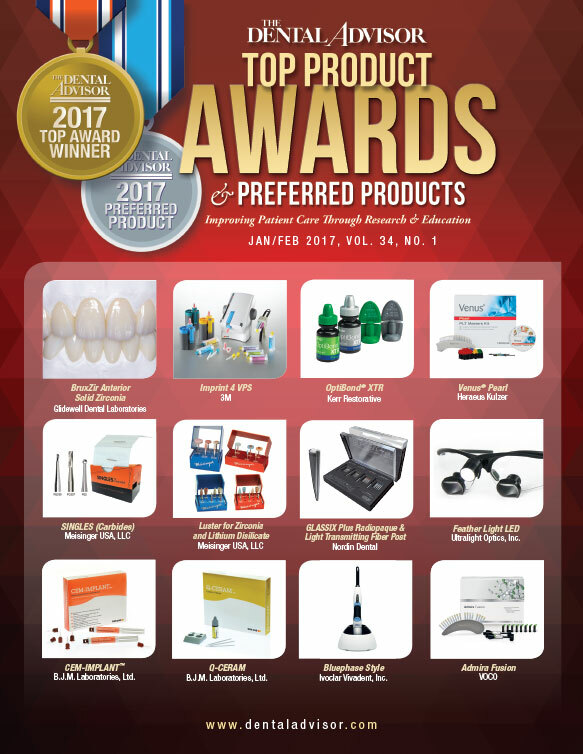 Clinical procedures requiring the use of interproximal wedges, including restorative and splinting procedures. 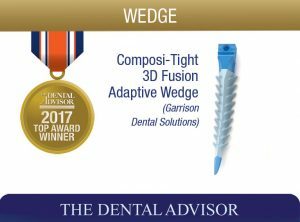 Composi-Tight 3D Fusion Ultra Adaptive Wedges have a firm inner core for easy insertion and tooth separation. The fins also fold down during insertion and then spring back for retention after placement of the wedge. 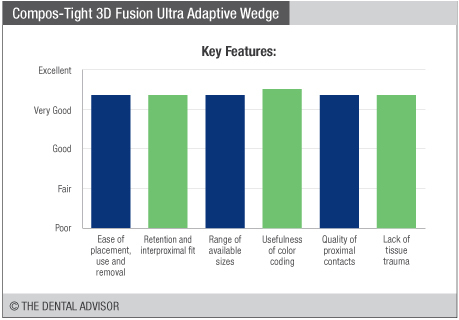 Composi-Tight 3D Fusion Ultra Adaptive Wedges are adaptive interproximal wedges that are easily inserted and allow for tooth separation. The wedges include fins that help retain the wedges following insertion, and they have an outer soft over-lay that molds itself to the root surface to provide a seal. 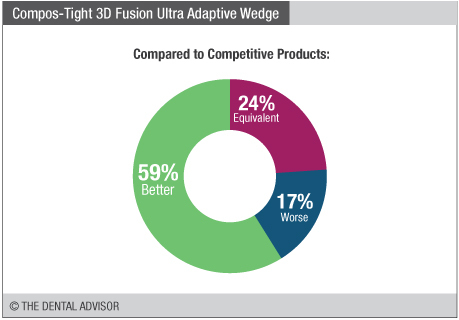 Composi-Tight 3D Fusion Ultra Adaptive Wedges are designed for use with any matrix system. They are available in four color-coded sizes: x-small (yellow), small (blue), medium (orange), and large (green). The wedges can be purchased in kits of 200 or 400 that contain all four sizes and are also available in single size refill boxes of 50 or 100.